Enjoy two unique adventure tours in one day with a morning outing to a pristine Costa Rica rainforest and an afternoon among crocodiles on a mangrove boat trip. Begin the day with an inspiring array of Costa Rica wildlife in a tropical rainforest that’s less than a 90-minute drive from Jacó Beach. You arrive at Manuel Antonio National Park as the cool of the morning still permeates its lush shaded trails. The flat, sandy paths make the nature walk accessible to nearly all and perfect for a family outing. As you traverse deeper into the lowland rainforest, you pass a small waterfall and the soothing sounds of its cascading waters join the jungle soundtrack. Informed by your bilingual naturalist guide, you spot an amazing assemblage of colorful birds. Among the over 180 species that call the park home, you observe a vibrant yellow-eared toucan and a magnificent frigatebird proudly displaying its fiery red chest. Brilliant butterflies that exist nowhere else in the world flutter through the air as emerald tree frogs peer out from their leafy perches. Be sure to turn your eyes upward to see sloths lazily seeking privacy among the verdant canopy and howler monkeys playfully swinging through the branches. 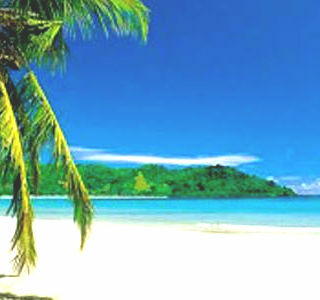 The excursion pops out on an unspoiled beach where white-sand shores meet gentle ocean waves. Brown pelicans swoop to the sea for sustenance before a backdrop of dense trees that rustles in the tropical breeze. It’s a perfect time to take an invigorating dip in the shimmering turquoise waters. 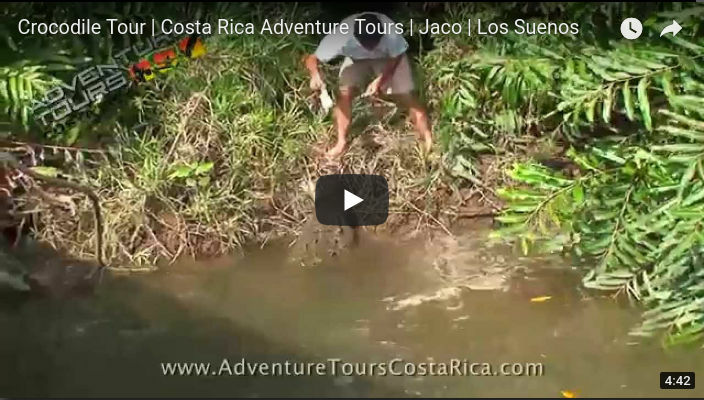 As the late-morning sun intensifies, continue back along the trail to hit the road toward Jacó. The midday break ends as your river adventure begins. Just over a 30-minute drive from Jacó Beach, the Tarcoles River is home to more than 2,000 American crocodiles. River, swamp and the Pacific Ocean converge at the mouth of the Tarcoles to create a unique environment that attracts a diverse combination of wildlife. Board a boat for a cruise through the nature-filled scene. The shaded slow-moving vessel makes for an easygoing family-friendly trip. Along the mangrove-lined banks of the river, you’ll spot an eclectic variety of feathered friends. Your knowledgeable guide points out exotic birds including warblers, American pygmy kingfishers and bare-throated tiger herons. Keep your eyes peeled for the massive iguanas, monkeys and mangrove crabs that populate the shores. But of course, the crocodiles are the star attraction. And you’re sure to see a lot of them as you navigate through the forest canals. You can catch the massive creatures basking on the muddy banks or gliding through the brackish water on hunts for fish. 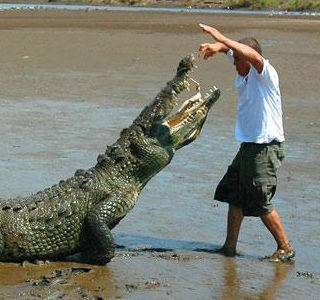 Local crocodile handlers regularly put on interactive shows that amaze onlookers. Luckily you can experience the thrill from the safety of your boat. As the sun begins to set over the Pacific, your up-close encounter with this powerful crocodile species ends to complete an unforgettable day of nature exploration. "Go from rainforest trails and white-sand beaches to a river tour with exotic wildlife -- in one day!"